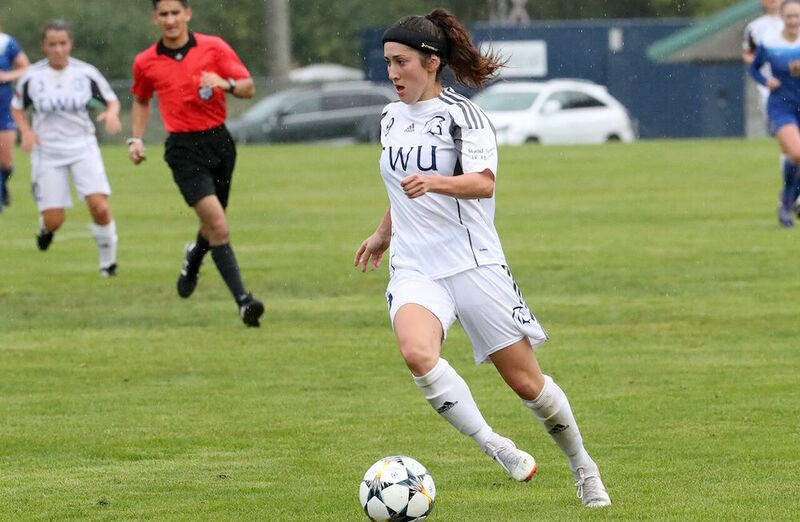 Trinity Western striker Seina Kashima was honoured with the Chantal Navert Memorial Award as U SPORTS women’s soccer Player of the Year Wednesday night, as the national award winners were celebrated at the annual All-Canadian Gala. 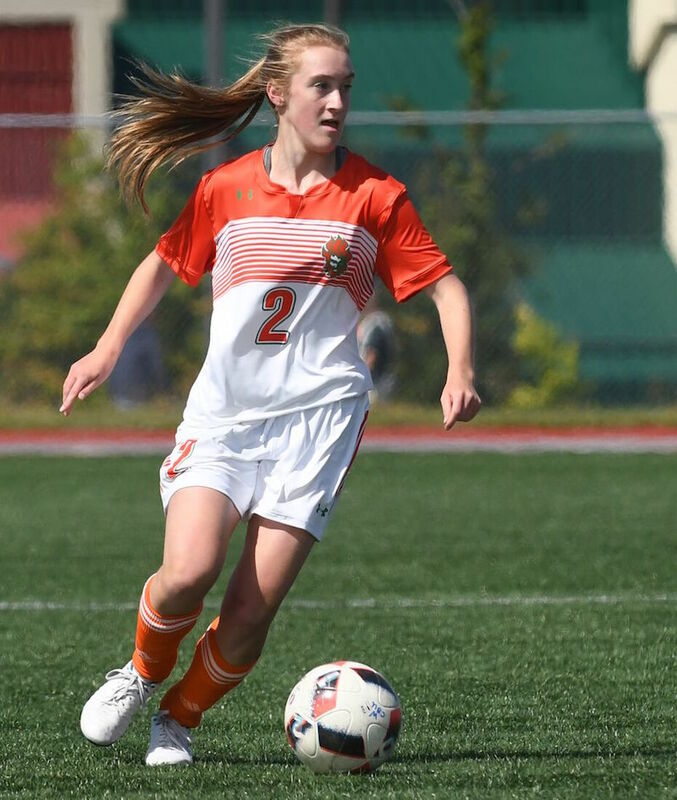 Cape Breton striker Erin Freeman captured Rookie of the Year, while Lethbridge forward Lindsay Amatto earned the Student-Athlete Community Service Award for her outstanding contribution both on and off the playing field. Calgary bench boss Troye Flannery was named Coach of the Year. Seina Kashima had an historic fifth and final year at Trinity Western, as she set the Canada West single-season assists record, with 13 in 14 games. Add to that the seven goals she scored and Kashima finished tied for the U SPORTS lead in points with 20, which also put her in a tie for the third best single-season points total in conference history. Kashima also finished the year with three game-winning goals as she led the Spartans to a 12-2-0 Pacific Division-leading record in the regular season. With her 13-assist season, Kashima completed her university career as the all-time assists leader in Canada West history, with 40. She also finished tied for third on the Canada West all-time points list, with 58. 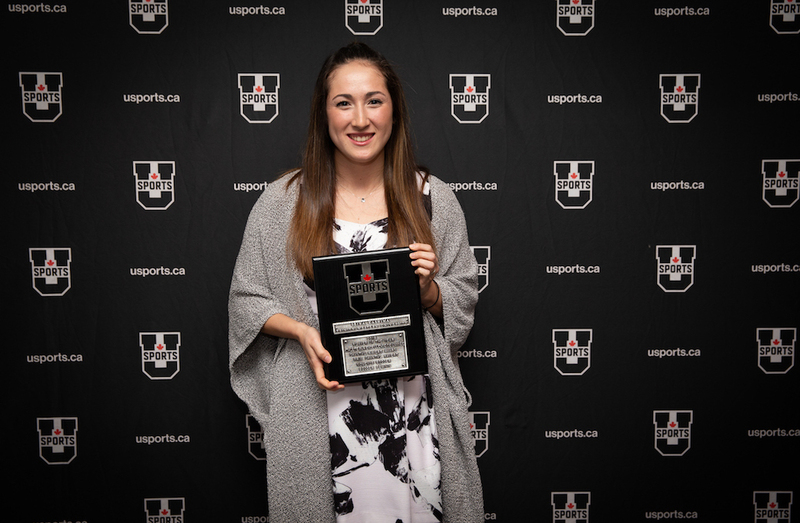 Kashima is the second Spartans women’s soccer player to win the U SPORTS Player of the Year award following Jessica King in 2014. “I am really pleased for Seina as she has had a wonderful season and indeed a very special career,” said Spartans head coach Graham Roxburgh. “She has been the attacking force this year and throughout her career that helped lead her team to accomplish some terrific achievements. She has worked really hard to become a more complete player this season and I am delighted she is being recognized for the talent and impact player that she has always had and been. A business student from Halifax, N.S., Erin Freeman started in all 12 regular season games in her first season. Freeman tallied three goals and six assists – which tied for third in the nation – for nine points this season. She helped lead the Capers to a 10-1-1 record and a first-place finish in the AUS standings. She becomes the second Cape Breton player to take home U SPORTS Rookie of the Year honours and the first since Michelle Desjardins in 2000. The only other AUS player to ever capture the honour was Dalhousie's Mary-Beth Bowie in 1997. "Erin has been an impact player since Game 1. She started every game and plays 90 minutes. Erin has Terrific ability on the ball, and has a the skill of making moves at full pace,” said CAPERS head coach Ness Timmons. 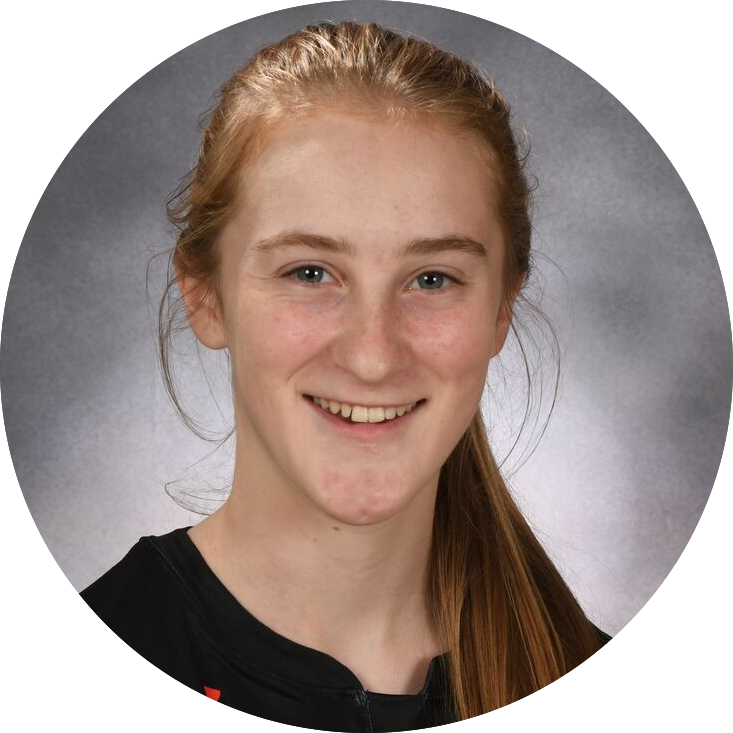 “She has the ability to play any position in the attack, and her play making ability has really been an asset to the Cape Breton CAPERS drive up front. Cracking the U SPORTS Second All-Canadian Team in her rookie season shows that Erin has made an impact on the league right away." 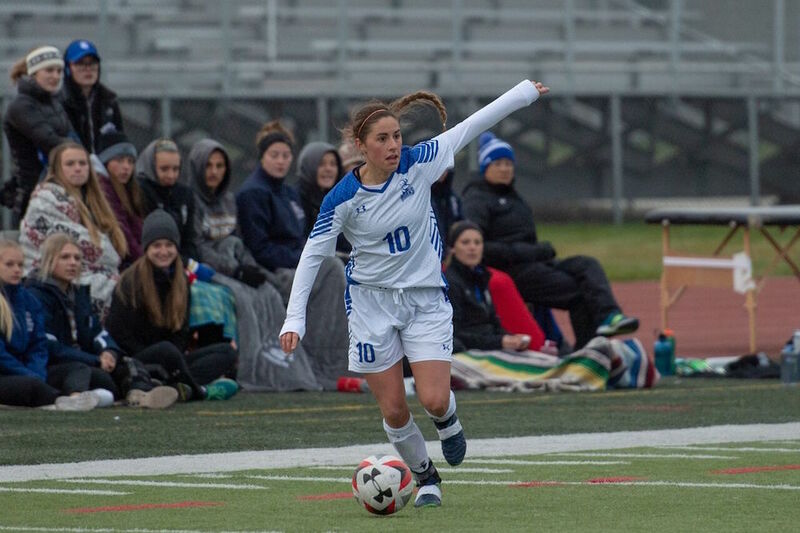 Fourth-year midfield Lindsay Amatto becomes the first Lethbridge Pronghorn women’s soccer player to be recognized as the Student-Athlete Community Service Award winner. 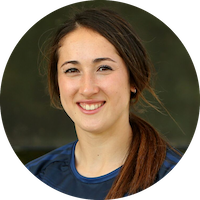 Amatto, a Lethbridge, Alta., product, has been a consummate student-athlete in every sense of the word since her arrival. As an athlete, Lindsay started 13 of 14 games this season, averaging 85 minutes of playing time and tying for the team lead in goals. She also tied for the team lead in goals last season. In the classroom, Amatto carries a perfect 4.0 GPA and has been recognized as the President’s Award winner – the top Pronghorn athlete academically – the past two years. While she finds success both in the classroom and on the pitch, the most impressive part is the amount she gives back to the University and Lethbridge communities. In addition to being the women’s soccer representative on the Pronghorn athlete student council the past two years, she is the Vice-President of the Biology Club at the University of Lethbridge, she is active in the yearly Operation Red Nose campaign, the Scholarship Breakfast, and acts on behalf of the program in numerous other roles within the university community. Within the Lethbridge community, Lindsay also mentors young children interested in science through the Let's Talk Science program; volunteers at the Lethbridge Humane Society, and is a Big Sister. She is a volunteer in the pediatrics department at the hospital, calls bingo at the Heritage Lodge Senior Centre, was on the Relay for Life organizing committee (Canadian Cancer Society, 2016) as well as acting as a tutor for high school/ junior high science students. Finally, Lindsay’s also finds time to volunteer with a program called Sundays with Syrians that helps Syrian refugee families integrate into our community (i.e., English tutoring), and she is a member of the World University Service of Canada (WUSC), which strives to educate and inform others on world issues. 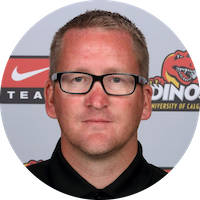 Under the six-year tutelage of Troye Flannery, the Dinos have become a relevant program in Canada West and on the national stage. After missing the playoffs five of the last six years before he took over, Flannery’s Dinos have qualified for the postseason in each of his six seasons, earning top spot in the Prairie Division in both 2016 and 2018. 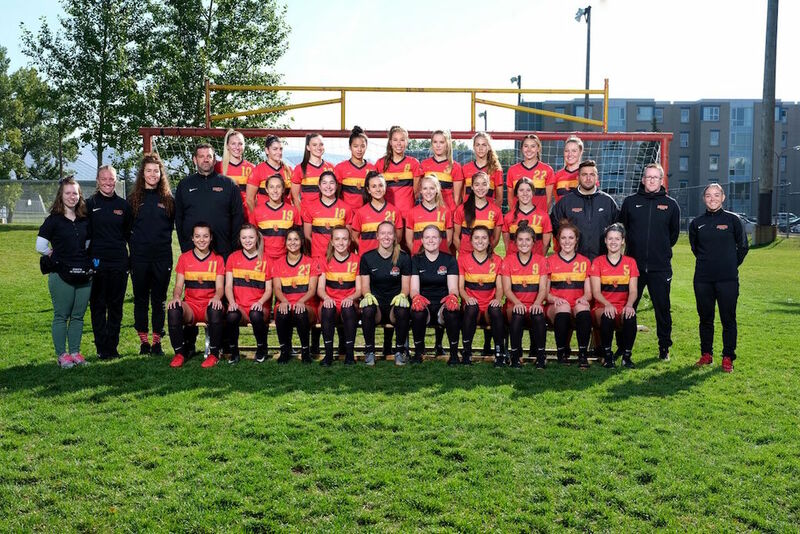 This year’s edition of the Dinos set Canada West records with 13 wins and 11 shutouts on the season, allowing just five goals in 14 games. It's the second such honour of the year for Flannery, who led his Calgary Foothills WFC team to the Western Conference championship and was named United Women’s Soccer Coach of the Year this summer. Flannery also becomes the first Dino to take home national Coach of the Year honours in women’s soccer. 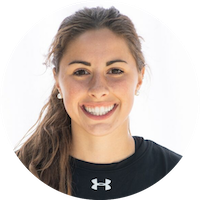 GK Gabrielle Lambert UQTR 3 St. Hyacinthe, Que. Business Admin. D Marie-Ève Bernard O'Breham Montreal 3 Longueuil, Que. Electrical Eng. D Kristen Sakaki Trinity Western 3 Surrey, B.C. Business Admin. S Erin Freeman Cape Breton 1 Halifax, N.S. Business Admin. S Emmanuelle Alcindor Montreal 4 Montreal, Que. Business Admin. D Lidia Bradau Queen's 4 Woodbridge, Ont. Chemical Eng. S Erin Freeman Cape Breton Halifax, N.S. Business Admin.